The kernel is a whole grain of buckwheat. It is peeled using a special technology which saves its nu.. 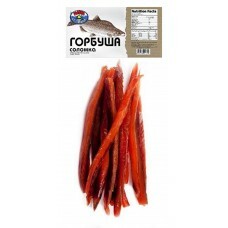 Enjoy Russian delicacy- Dried Vobla (1 package) "Ot Palycha"Weight:+/-410gr (0.9lb)Vobla or Caspian .. Tomatoes, gerkins, peper. Wt: 1620 g ..
100 g. Cocoa drink - tasty and nutritious product.Net weight 100g. Ingredients: cocoa powder, vanil.. Tomatoes, gerkins, peper. Wt: 920 g .. Product of Russia 454 gr ..